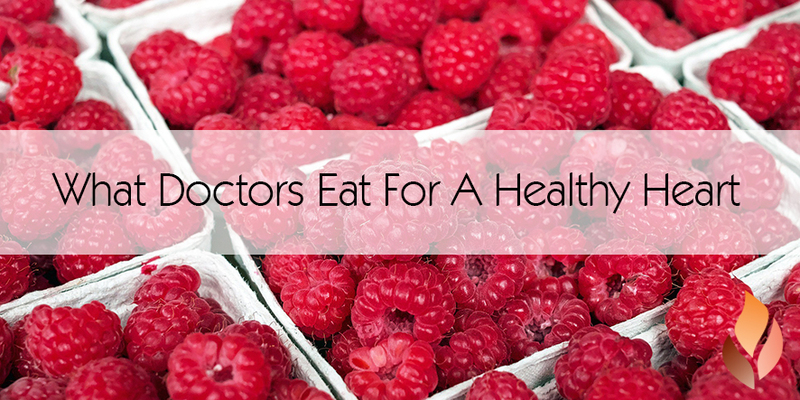 Home » Events and Blogs » Blog » What Doctors eat for a healthy heart! What Doctors eat for a healthy heart! In honor of Healthy Heart Month, we asked our favorite functional medicine doctors to share their top food picks for a healthier heart. Want more of this series? Check out their top foods for weight loss, and their favorite detoxifying dishes. My rule for a healthy heart is simple: do not eat anything that poops or has a mother that poops. That just eliminated meat, fowl, fish, dairy and eggs. My favorite foods for the heart are red and include tomatoes, red peppers, strawberries, pomegranates, red apples, red grapes and red wine. We could eliminate 80-90% of cases of clogged heart arteries by teaching the remarkable proven benefits of plant-based whole food diets to children, expectant parents, medical students, nurses, and hospital administrators. The best ways to have an ultra healthy heart is to decrease inflammation— the true culprit for heart attacks. One of my favorite inflammation busting tools are turmeric and green tea. The EGCG from green tea and curcumin from turmeric are both stellar at boosting the inflammation fighting antioxidant Nrf-2 and driving down the damaging NF-kB. I like mixing turmeric powder in warm coconut milk for a warm a latte-like golden milk, and I like my green tea steeped extra long—strong and straight up. Broccoli works the liver, which plays a main role in regulating cholesterol and balancing blood sugar, two big components and potential contributors to heart disease. One of the main ingredients is sulfloraphane, which also helps reduce the risk cancer, keep blood flowing, and prevent inflammation. Sulfloraphane has been shown to re-activate Nfr2, a beneficial protein that helps protect arteries, and found to be absent in branched or bent arteries, making them more susceptible to disease. Studies have also shown that diets that have a higher intake of broccoli has been correlated to less coronary related events. Rich in omega-3 fatty acids, vitamin D, and vitamin A, salmon is a nutrient powerhouse for heart health. It is also a great source of B vitamins, selenium (a trace essential mineral needed for heart health), and protein. In addition, recent studies have found that salmon contains unique protein molecules called bioactive peptides that may provide support for insulin sensitivity (insulin resistance is a major cause of cardiovascular disease and plaque build-up) and control of inflammation in the gut. We all know that inflammation is at the root of all disease processes, including heart disease. Beware of farmed varieties, however, which may be labeled as “Atlantic salmon” or even “organic.” These will often be contaminated with mercury, pesticides, and persistent organic pollutants (POPs), which are harmful to the cardiovascular system, including the heart. They also have artificial coloring added to make the meat look as pink as the wild variety. My favorite food for a healthy heart is salmon. Omega 3 fats found in salmon are cardio-protective and keep us all super charged. It also forces us to all trade red meat for a healthier option. The health benefits of ginger are so extraordinary. It has a long history of use for supporting circulation, vasodilation and healthy sweating. Practitioners of Ayurvedic medicine use ginger because it activates the body’s internal energy which helps burn ama (toxins) and reduce inflammation. Ginger has an anti-blood-clotting ability which helps clear the channels of the body- a powerful component against heart attacks and stroke. To get the amazing cardiovascular benefits you can easily add ginger to cooked dishes or consider making ginger tea by boiling a few slices of fresh ginger root. My favorite food for heart health is dark chocolate. Several studies have shown that the high levels of polyphenols may help reduce blood pressure and inflammation with daily consumption. The key is that you must consume at least 60% of higher cacao content to reap the benefits. Milk or white chocolate will not give you same benefits for a healthy heart.